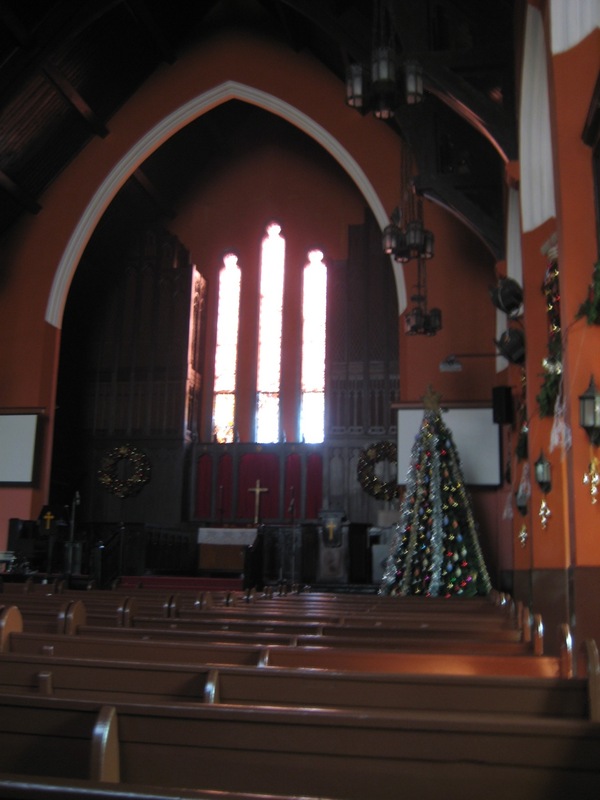 Located on the popular Heng Shan Road, Shanghai Community Church is another hard-to-miss spot. There are many restaurants and bars close by. For non-Christians, if there is one church in Shanghai they know except the landmark Xujiahui church, it would be this one. 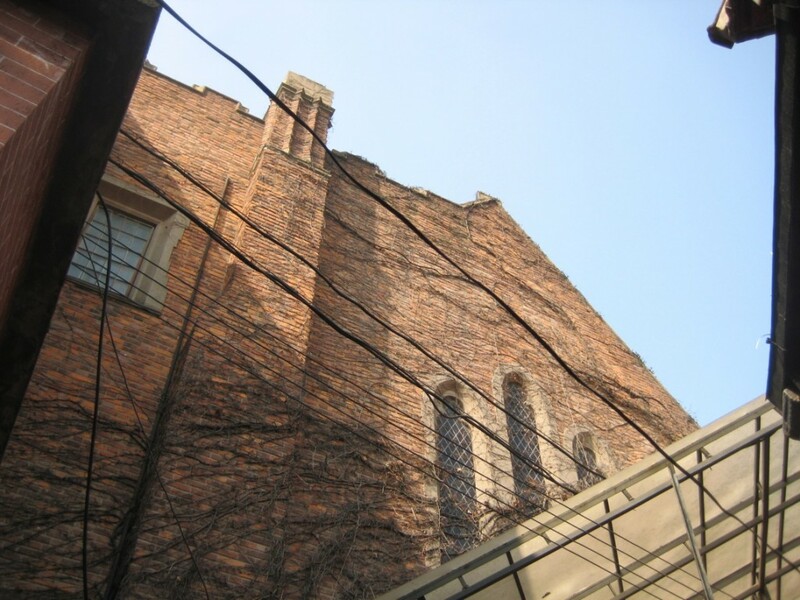 The Protestant church was built in 1925 by Americans who lived in Shanghai. It was used mostly by westerners until early 1950s when they withdrew from the city. 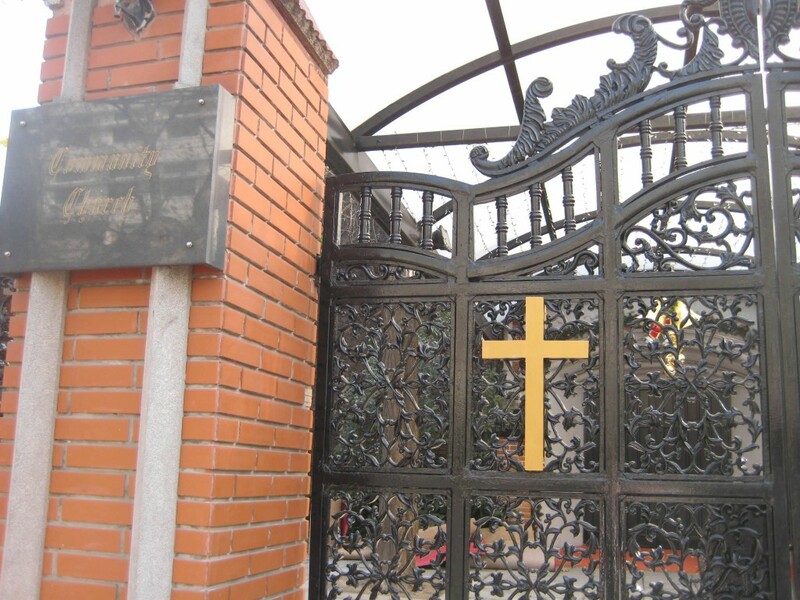 Like all churches in China, the Community Church was destroyed during the Cultural Revolution. Services was restored in 1978. 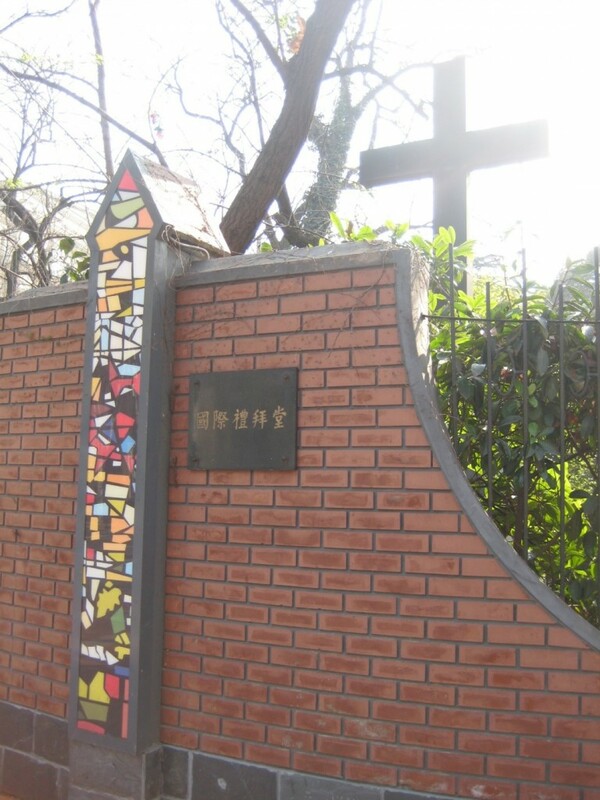 This is the wall surrounding the church compound (churches in China, like its universities, are usually enclosed by walls). I came in the afternoon, and again, had to tell the doorman that I am a Christian to be allowed entrance. I walked around the compound and its large garden area, saw many wild cats. The church is not only saving souls, but also the city’s less fortunate pets. The back of the building has a wall, separating it from the residential buildings (and their laundry) close by. The inside is painted bright colors, with simple decoration. The church offers both Chinese and English masses. 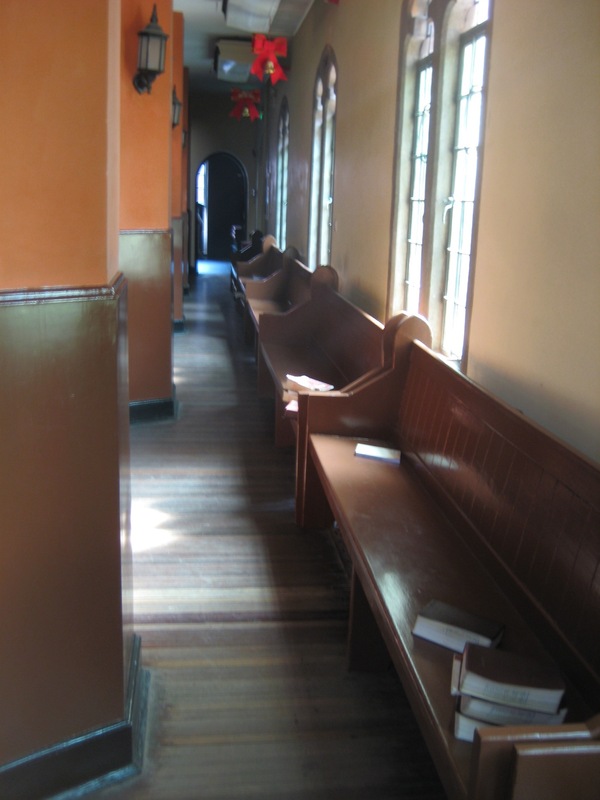 Benches on the side to accommodate more people, sometimes as many as over 1,000 people. closed during the japanese Occupation 1942 – 1945-6. I will be in shanghai on feb 17 and would like to attend worship with you with my wife. What time service would be the best. We only speak english, we don’t speak Chinese but that’s ok.